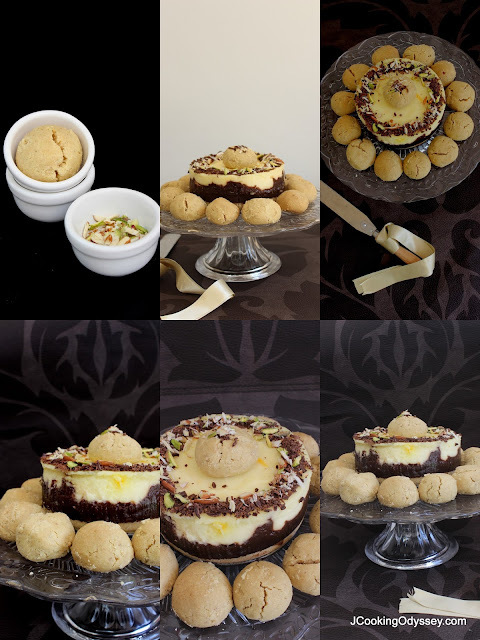 Jagruti's Cooking Odyssey: Eggless Nan Khatai, Dark Chocolate, Saffron and Nuts cheesecake ! 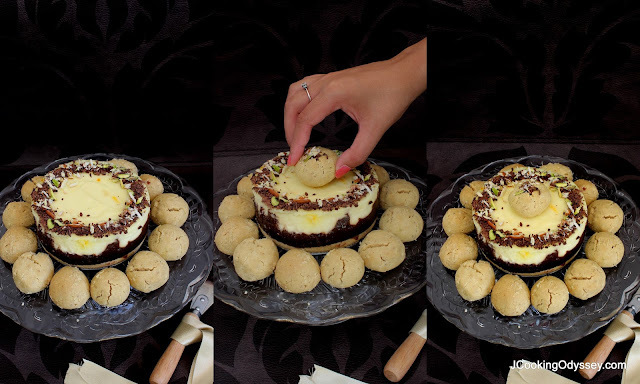 Eggless Nan Khatai, Dark Chocolate, Saffron and Nuts cheesecake ! It's my son's birthday which means it's time to bake another cake! as my son isn't a fan of sponge cakes which are topped up with icing, which makes baking a cake kind of pointless! This year, I wanted to make the sort of cake that he would enjoy the most! 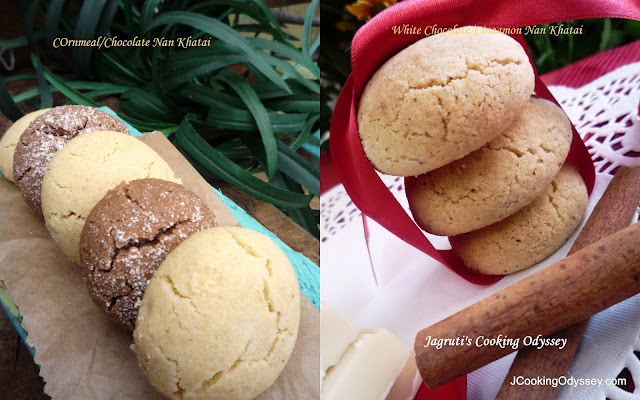 Yash, my son, is a lover of Nan khatai! Any day you put a plate of Nan khatai in front of him and he would eat it! That's why I have different nan khatai recipes on my blog, if you're a crazy fan of Nan Khatai check out my White Chocolate and Cinamon Nan Khatai and Cornmeal/Chocolate Nan Khatai - I'm always making them. 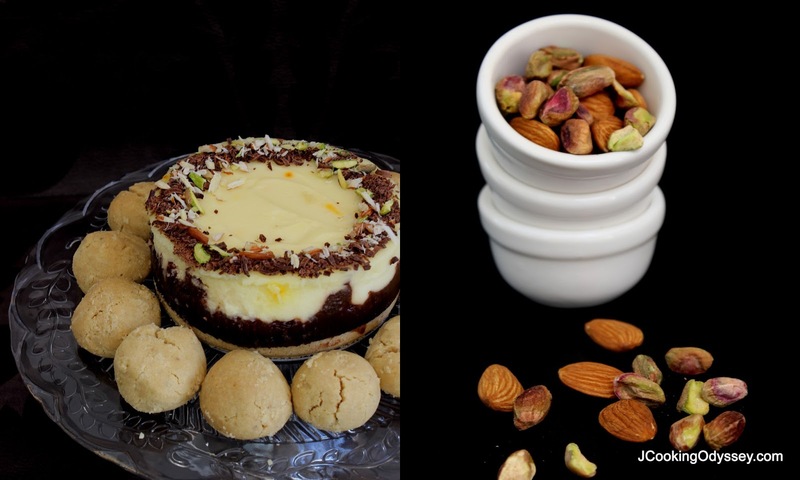 I wanted to incorporate his love for nan khatai into a celebration desert that we would all enjoy eating as a family. Since we all love a good cheesecake in the house, I thought, why don't I make a cheesecake that uses nan khatai as the base? The texture would still be the same and it would bring a mild Indian taste to the desert. I could add a bit of saffron and cardamom to the cheese layer on top to bring out the Indian flavour! I also added a chocolate layer which gave some extra sweetness to keep my daughter happy, She loves chocolate !!!! Take 2 x 5 inch round spring form cake tin. ( it's ideal for individual portions ). Greased with little butter and firmly press the crushed nan khatai . 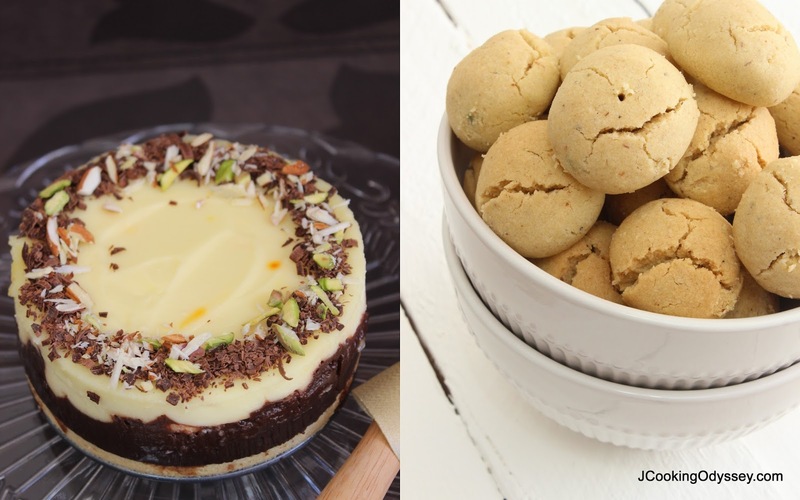 You won't need any butter as Nan Khatai has plenty of ghee. Take chocolate and cream in a saucepan, melt the chocolate for about minute or so and turn off the heat. Keep mixing and stirring, you'll have chocolate ganache ready. Pour chocolate ganache on top of the base and leave it to cool completely. Ganache should go hard. Pre heat oven to gas mark 4 or 180C. Beat gently all the cheese layer ingredients in a big bowl until the mixture goes thicker. It won't take so much time. Pour cheese mixture on top of the chocolate ganache and bake both cake tins in the pre heated oven for half an hour. After half an hour turn off the oven, leave the cake tin in there but keep oven door open. Take out cake tins after 20-25 minutes from the oven, let it cool completely then chill them overnight in the fridge. Next day decorate cheesecake with chocolate shaves and slivered nuts. Enjoy with you loved ones..! 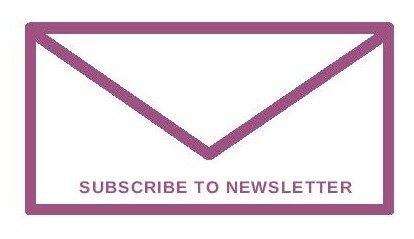 Goes to Made with Love Mondays ! wow...wat a luvly feast fr the eyes.. 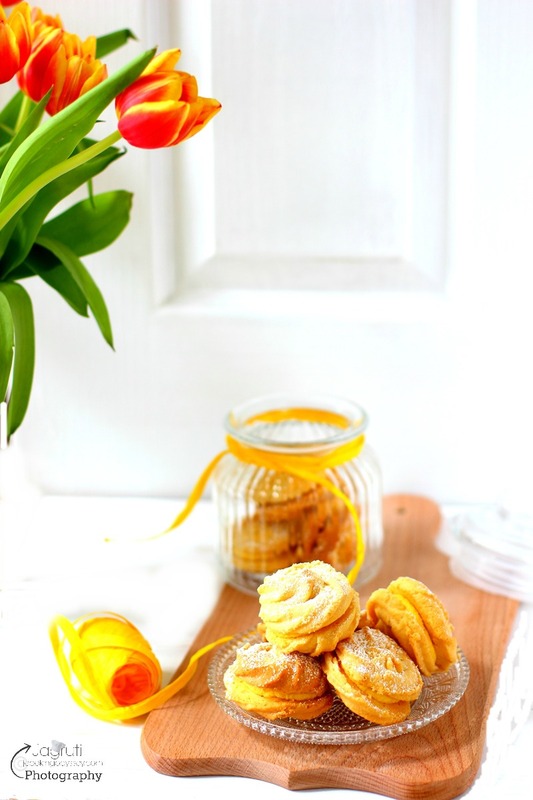 I love the sound of saffron in this cheesecake, Jagruti! So creative and I'm sure it added a wonderful flavor note. Your son must have been very happy this this cake! This looks gorgeous.I am sure Yash must have loved it. belated happy birthday to your son. GOD bless him and he can get every success in his life. cheesecake looks awesome. have to try this. Ghotma Ladoo - Laddu !